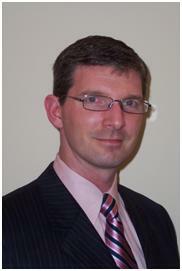 Dr. Stoll is a graduate of Rutgers University in New Jersey and pursued his Doctorate at Temple University. While in medical school, he was twice elected class president and then became elected as student body president. Following graduation, Dr. Stoll pursued a residency at New York Medical College at Our Lady of Mercy Hospital and was privileged to continue with a trauma care program at Lincoln Trauma Center in the Bronx, New York. Dr. Stoll finished specializing in arthritic and reconstructive foot surgery here in Atlanta, and currently practices at Northside Hospital and Piedmont Hospital. Consumers Research Council of America has chosen Dr. Stoll to be one of "America's Top Podiatrists" in Foot Surgery. He has earned this award in 2008, 2009, 2010, 2011, 2013, and 2014. Dr. Stoll is Board Certified and is a founding member of the American Society of Podiatric Surgery (ASPS). He is also a fellow member of the American College of Foot and Ankle Surgeons (FACFAS). He has been a member of the American Podiatric Medical Association, the Georgia Podiatric Medical Association, and the American Diabetes Association for the past 15 years. Dr. Stoll is a Diplomate of the American Board of Foot and Ankle Surgery (ABPS), a Diplomate of the American Board of Multispecialities in Podiatry in the practice of Medicine, and a Diplomate of the American Board of Multispecialities in Podiatry in the practice of Surgery. On a personal side, Dr. Stoll has a love for the game of chess. He has played in the US Open, The US Amateur Team Championships, and many local and regional tournaments. He also likes physical activities such as weightlifting and cycling. He is a Die-Hard College Football fan and follows his alma mater Rutgers University. Dr. Stoll has a home in Midtown with his husband Everett, their adopted sons Connor and Logan, and daughter Emily. Dr. Stoll and the associates of Atlanta Foot Care Center are the Podiatrists on call and on Staff at more than 25 Assisted Living, Independent, and Rehabilitation Facilities in the Metro Atlanta area. It is Dr. Stoll's responsibility to do everything possible to prevent limb threatening emergencies that could lead to amputation in the elderly and diabetic. Dr. Stoll has office hours Wednesday from 9 am - 5 pm, and Tuesday and Thursday from 10 am - 2 pm. Dr. Jones was born in Cincinnati, Ohio but is still considered a “Georgia Peach” being raised in Lilburn, GA. She completed her undergraduate studies at the State University of West Georgia and earned her doctorate at the New York College of Podiatric Medicine. After medical school she went on to complete a 3-year surgical residency at Saint Vincent’s Medical Center in New York where she served as co-chief resident. Dr. Jones is available to treat all aspects of the foot and ankle with an emphasis on conservative and therapeutic care. Dr. Jones has an interest in limb salvage; wound care and diabetic foot care. Dr. Jones is a member of the Georgia Podiatric Medical Association and the American Podiatric Medical Association. Dr. Jones has participated in medical missions to Jamaica and also enjoys traveling, reading, and walking her dog Bella in her free time. Dr. Jones and the associates of Atlanta Foot Care Center are the Podiatrists on call and on Staff at more than 25 Assisted Living, Independent, and Rehabilitation Facilities in the Metro Atlanta area. It is Dr. Jones' responsibility to do everything possible to prevent limb threatening emergencies that could lead to amputation in the elderly and diabetic. Dr. Jones has office hours Monday and Thursday from 9 am - 5 pm. Dr. Georgiev attended the New York College of Podiatric Medicine, which is the oldest college of podiatry in the Nation. Upon graduation, he completed 4 years of postgraduate residency training in Foot and Ankle Surgery and Medicine at the Mt Sinai Beth Israel Hospital in the heart of Manhattan, NY. During his senior year, he served as Chief Resident. Afterwards, Dr. Georgiev practiced podiatry in New York City. Dr. Georgiev is interested in all aspects of foot and ankle care, conservative and surgical management. He has authored multiple articles on topics of lower extremity traumatology and deformity correction. His academic interests are strong and he is continuing to actively search for the latest and most effective treatment options for his patients. Dr. Georgiev takes a sincere and personal approach to the care and well being of his patients. He is a firm believer in compassionate care to achieve fast and lasting relief. Dr. Georgiev is active in sports. He gained a black belt in Kyokushin karate at the age of 16, has won numerous tournaments. He has worked as a student athletic trainer for his college’s track and field teams. In his free time he currently enjoys mountain biking, yoga, hiking, jogging, and spending valuable time with his wife and son. Dr. Georgeiv is double board certified by the American Board of Podiatric Medicine and the American Board of Wound Management. Dr. Georgeiv and the associates of Atlanta Foot Care Center are the Podiatrists on call and on Staff at more than 25 Assisted Living, Independent, and Rehabilitation Facilities in the Metro Atlanta area. 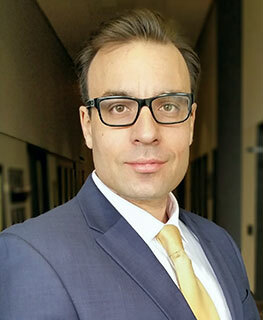 It is Dr. Georgiev's responsibility to do everything possible to prevent limb threatening emergencies that could lead to amputation in the elderly and diabetic. Dr. Georgeiv has office hours Tuesday and Friday from 9 am - 5 pm. Read Dr. Georgiev's biography in Bulgarian/Russian below. Доктор Георгиев учился в Нью-Йоркском Колледже Подиатрической Медицины, который является старейшим и престижным колледжем подиатрии в стране. После окончания колледжа он прошел 4 года аспирантуры по специальности «Хирургия Cтопы и Голеностопного Cустава» в Mt Sinai Beth Israel Hospital в центре Манхэттена, штат Нью-Йорк. В последний год аспирантуры он был назначен старшим аспирантом. После окончания аспирантуры доктор Георгиев работал лечащим врачем в Mt. Sinai Hospitals и частной клинике в г. Нью-Йорк. Основным направлением его научной и практической деятельности являются вопросы процедурного и хирургического лечения нижних конечностей. Доктор Георгиев является автором множества статей на тему травматологии ног и операций по коррекции деформаций. Он очень заинтересован в научной деятельности и продолжает активно искать новейшие и наиболее эффективные варианты лечения для своих пациентов. Доктор Георгиев проявляет искренний и личный подход к заботе и благополучию своих пациентов. Он твердо верит, что сострадательная забота о пациентах приведет к их быстрому выздоровлению. Доктор Георгиев увлекается спортом. В 16-м возрасте он получил черный пояс по киокушин каратэ и выиграл множество турниров. Он работал помощникoм спортивного терапевта для легкой атлетической студенческой команды в колледже. В свободное время он любит кататься на горных велосипедах, заниматься йогой, ходить в походы, и проводить время со своей супругой и сыном. Доктор Георгиев получил двойную профессиональную сертификацию (Board certified) в American Board of Podiatric Medicine и American Board of Wound Management.